Through the psychic powers of the subconscious, our dreams show us that there is no limitation on what we can perceive. Through dreams we can predict the future, communicate with someone deceased, and experience events on the other side of the world. Every night, our dreaming (astral) body escapes the limitations of our conscious world, and enters a dimension where existence is timeless. In this dimension, we are all psychic. There are three types of psychic dreams, and they are all pretty common: precognitive, telepathic, and clairvoyant dreams. Once we are awake, these dreams can baffle us, because we define our reality as separate from others, and see our world through the constructs of 3 dimensional time and space. A dream that seems predict the future is known as a precognitive dream. For example, dreaming about a friend you have not seen in years and then running into the person the next day, is a precognitive dream. These dreams can predict good news as well as bad news, even death. Precognitive dreams may be very accurate in revealing even the smallest details that will take place in the future. Dreams of death are one of the most common precognitive dreams. Some people have an uncanny ability to predict the death of a loved, one days or months before their passing. But those who dream of death often see it more a curse than a blessing. In interpreting dreams, it is important to differentiate a dream that is precognitive from dreams that relate to the individual dreamer’s psyche. It is often difficult for the dreamer to verify a precognitive dream, since the event predicted can happen long after the dream, sometimes years later. For instance, it is not uncommon for a woman to have her “twin flame” and future mate appear in a dream as much as ten years before the actual meeting. A dream in which we have contacted the consciousness of another person, and have accurately seen his or her thoughts or actions, is known as a telepathic dream. For example, a dream that a friend was in an accident, then learning that he or she was in the hospital, demonstrates an ability to dream through telepathic channels. The dreaming mind can receive information about a loved one as far away as around the world, or as close as the next room. There is no distance or barriers in the dreaming realm. It is not uncommon for a wife to dream about her husband’s infidelity, or a mother to dream that her son is hiding his depression and thoughts of suicide. The dream will reveal in a metaphoric storyline the subject’s secret thoughts. 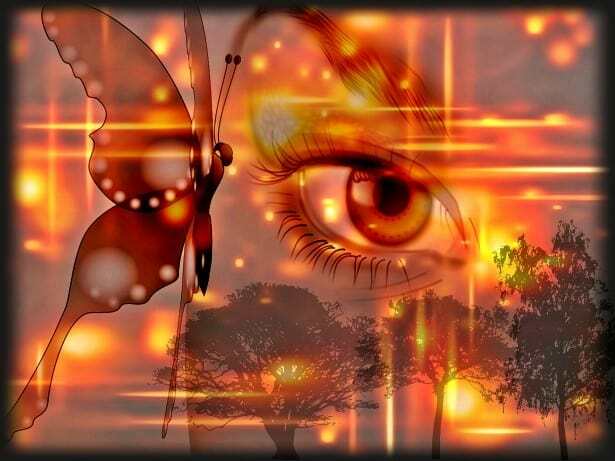 Dreams where we psychically connect with a person, object or situation are known as clairvoyant dreams. These dreams include dreams of natural disasters, and significant political and social events. The dreamer’s clairvoyant ability is magnified, and the dreamer receives information that may be very detailed. Individuals who receive such information on a regular basis may experience a anxiety, and turn off their intuitive powers or even stop remembering their dreams. Clairvoyant dreams prove that we are not separate from the Earth, and that disturbances in the Earth can be perceived by the dreaming mind. Such psychic abilities are natural to those who are awakened to the hidden potentials of the mind, that is inaccessible during the normal waking state. There are unique individuals who report having precognitive, clairvoyant and telepathic dream experiences frequently. In a shamanic culture, an individual with such powers might take the role of a shaman or healer, using his or her abilities in service to other members of the community. Some people have the ability to dream about the intimate details of other people’s lives. A common theme is visiting someone else’s home, and exploring to discover secret information that only the subject could know, or riding around with the person in their car. For instance, a year back I had a dream that my neighbor had traded in his pickup truck for a 4-door sedan. Most of the time, the dreamer has no conscious control over their nighttime wanderings, and the spying is totally out of their control. But some people have trained themselves to become psychic spies, and use their power to invade the privacy of others, something that is never ethical. Psychic dreams can be difficult to identify, and most dreamers can’t differentiate them from their ordinary dreams. It is only the intuitive mind that can tell the difference. By taking an intuitive approach to dream work, you can more easily recognize the real meaning behind a dream. Following up on hunches from a dream that might be a telepathic message from a friend, is one way of validating your intuitive powers.